Once your teen can drive, you want them to say “yes, mom and dad, your incredibly safe and airbag filled minivan IS cool, I wouldn’t want to drive anything else, ” but we all know that is not the case. Not to worry, there are plenty of cars out there that have been designed to handle wear and tear, are cost effective, and more importantly very safe. Electronic stability – This technology has been mandatory in vehicles since 2012. It automatically helps maintain stability while navigating the terrain. There is proof that this technology has reduced fatal crashes nearly by half. The fatal rate for teenagers is 3 x times higher than all other drivers. However, within the past 10 years, the safety requirements for vehicles have improved tremendously. The industry has been required to improve the safety aspects of all their vehicles. Any parent will worry regardless, but there are reliable and safe vehicles available that can help put your mind at ease. The Insurance Institute for Highway Safety (IIHS) has released a list of vehicles, which they have categorized into “good choices” and “best choices.” This shows the best large cars, midsize cars, small SUVs, midsize SUVs, large SUVs, minivans, and pickups in both the “good choices” and “best choices” categories, all of which start under $20, 000. 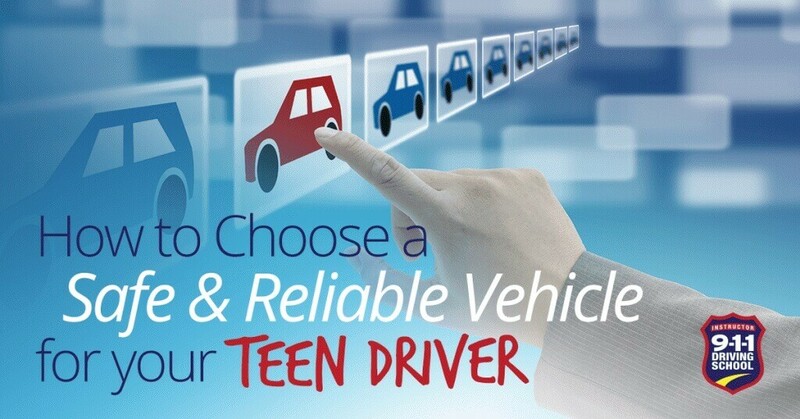 Make sure your child gets a proper driving education and plenty of supervised road time. Giving them the necessary skills to know how to navigate in the world of driving is the only way to truly help them stay safe on the road.